Conversion kit designed for backboards and hoops. Lets you install backboard on 3.5-inch round pole, roof, or wall Supports All Huffy Sports and Most Spalding Residential Backboards Up to 54-Inch. 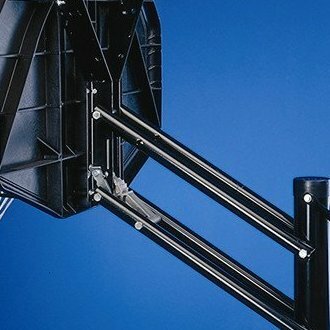 Height adjustable to 6 different positions (3 feet total). Backboard and hoop are sold separately.